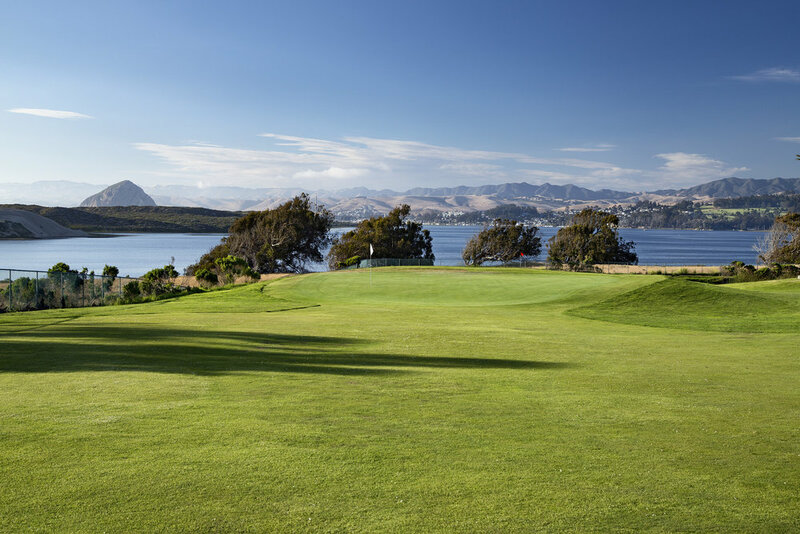 The sunny Central Coast is littered with beautiful and premium golf courses. While staying in Pismo Beach, you’ll have access to some of the best and most scenic golfing around. Take your pick from Avila Beach Golf Resort, Black Lake Golf Course, Cypress Ridge, Monarch Dunes and Pismo Beach State Golf Course. Follow up a beach day with a leisurely 9 hole course. Just a ten-minute drive away from the coast, luscious grapes and rolling vineyards await you. 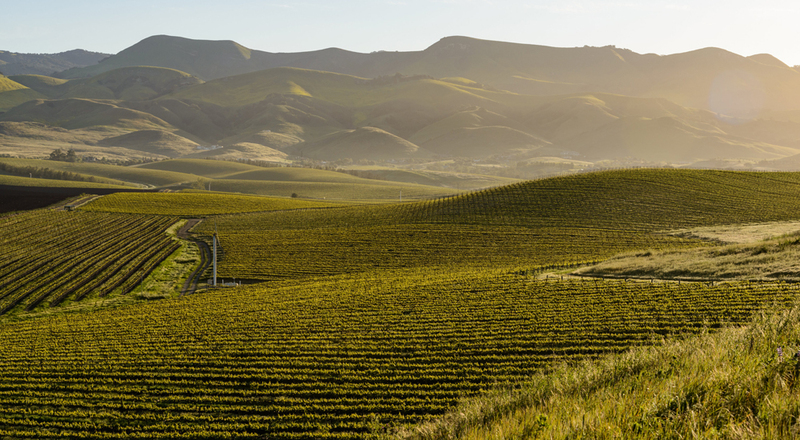 The Edna Valley American Viticultural Area (AVA) has rich soils, while grapes are kept cool from the ocean breeze and morning fog. The region is well known for Chardonnay and Pinot Noir and is growing in popularity and reputation. Try a day of wine tasting, where you can sample award-winning wines from wineries like Edna Valley Vineyard, Tolosa Winery, Baileyana, Chamisal, and Talley. The faint sight of white buildings and palm trees atop the rolling brown hills of San Simeon is an iconic image on the Central Coast. Welcome to Hearst Castle, a palace that architect Julia Morgan designed for fabulously wealthy William Hearst in the early 20th century. Before, it was a playground for the rich and famous; but now it’s a museum where guests can enjoy guided tours. 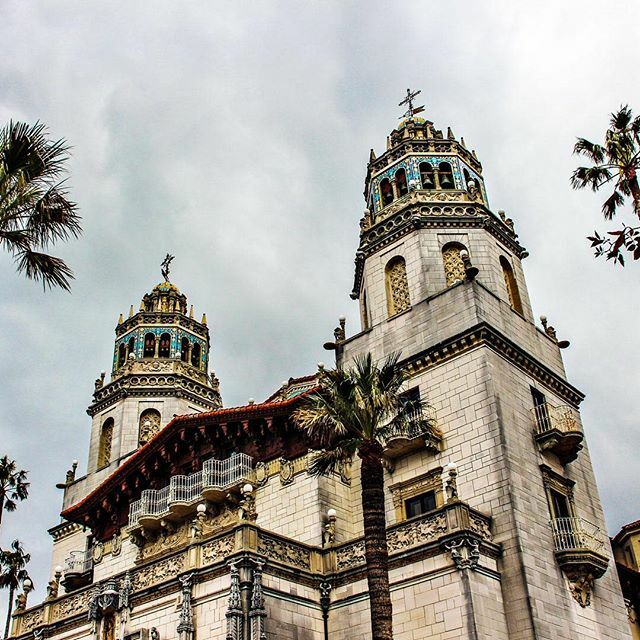 Complete with grand ballrooms, exquisite living rooms, guest cottages, two pools, and more, Hearst Castle is a picture of opulence that will delight any traveler. Find the thrill-seeker in you… or simply enjoy the warmth of a beach bonfire. 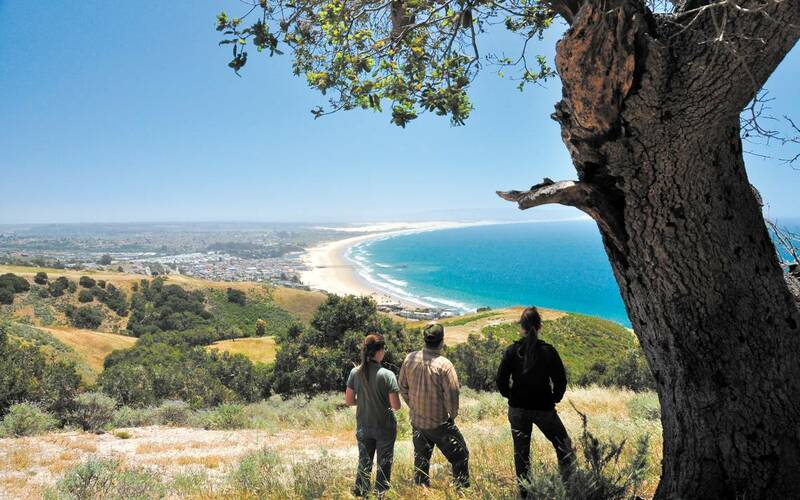 You can do it all at Oceano Dunes, an 11-acre adult playground south of Pismo Beach. Drive your car on the shore or race a rented ATV through the rolling sand dunes, while soaking in the sunshine and beautiful ocean view. The area is generally recognized as one of the finest remaining sand dunes in California and offers much for off-highway enthusiasts. 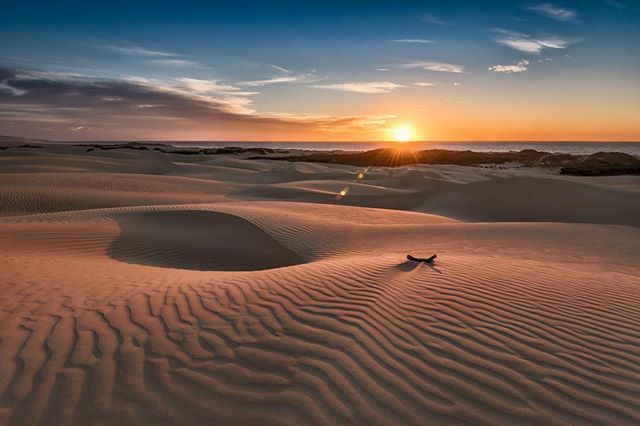 For a sandy adventure, look no further than the Oceano Dunes, located less than two miles away from our resorts. Most parks don’t have quite as exquisite a view. 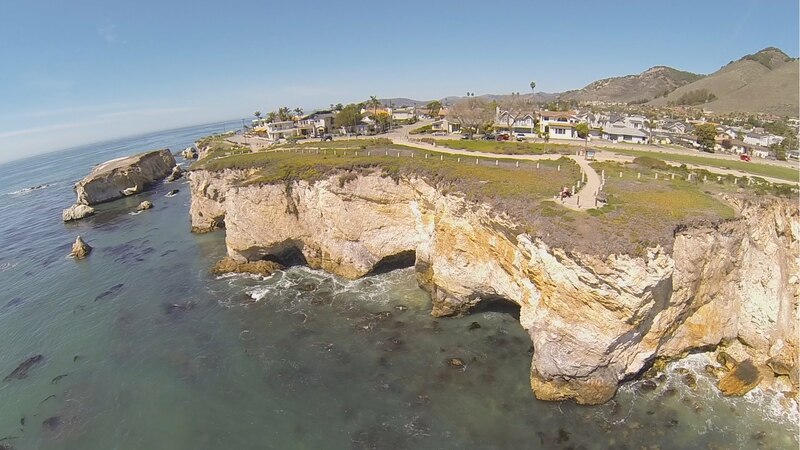 The cliffs of Pismo provide the perfect setting for this 11-acre bluff park, where kids can play and everyone can enjoy a laid-back stroll. Even better, the park is walking distance from our resorts and is right down the street from beach access via stairs below Margo Dodd Park. It’s a convenient, beautiful, and spacious space to breathe in the fresh air. Feel like you’re at the end of the world at the Pismo Pier. When you stand at the end and look out, you’ll see limitless, unobstructed ocean, some of the cleanest and purest shorelines in California. The pier is also a great place to socialize, with weekly farmer’s markets and local fisherman looking for their daily catch. A trip to Pismo isn’t complete without strolling down this classic pier! This protected area is a great space to enjoy nature’s beauty without the distractions of technology and the city. It is close to the beach and includes walking and hiking trails where you can bird-watch, discover plants, and look at butterflies in the Monarch Butterfly Grove. If you love nature, you can’t miss this underdeveloped area to explore outdoor beauty. 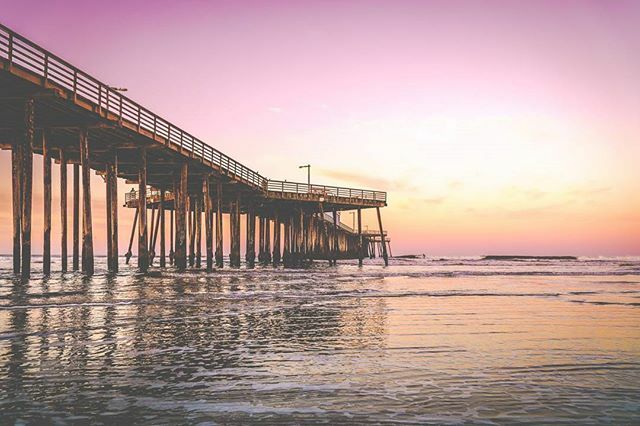 Restaurants specializing in seafood and fries, fun beachfront bars with music, souvenir shops and more can all be found in downtown Pismo Beach. The busy and exciting culture here is mixed with a casual and laidback beach style. Don’t miss the chance to wander throughout downtown Pismo for a few hours on a warm afternoon. 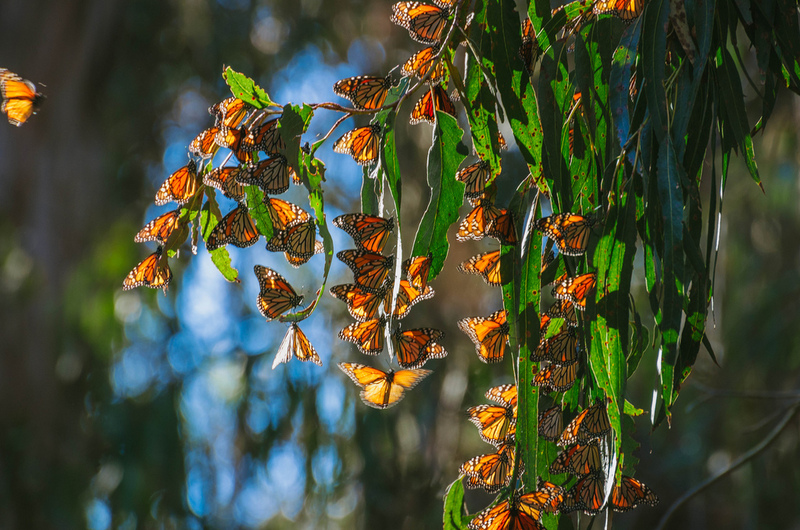 Every year, thousands of butterflies congregate in Pismo Beach at this remarkable spot. Visit from November-February to see them clustered together in orange and black masses, nestled among the eucalyptus trees. Regardless of the season, however, the grove is a peaceful place to enjoy nature and the tall, shady trees. 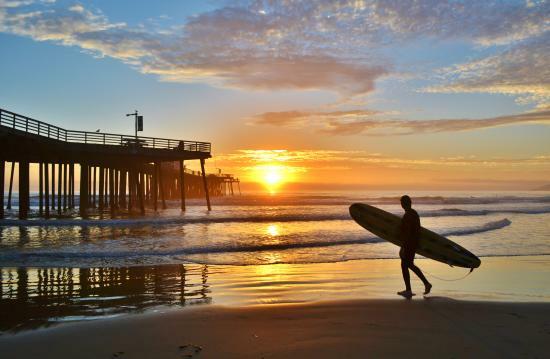 The namesake of Pismo Beach is naturally an important stop during your vacation to the coast. Anything is open to you, from surfing, boogie boarding, running, playing volleyball, or just relaxing on the warm sand.